Will Vote By Mail Ballots Be Counted Tonight? MMM is hearing that there is a movement within at least three county Boards of Elections to stop counting Vote-By-Mail ballots that are in house at 10 pm tonight, rather than complete the count on election day, as is required by statute. A Court Order is required to stop the count of VBM ballots, according to Monmouth County Clerk Christine Giodano Hanlon. The congressional candidate who proclaimed last winter that the people of Howell, Jackson, Allentown and Millstone “are not there yet” in the fight against racism and discrimination, this week visited Jackson and told his small group of supporters gathered in private home that there are enemies in this country lurking in food stores and restaurants. 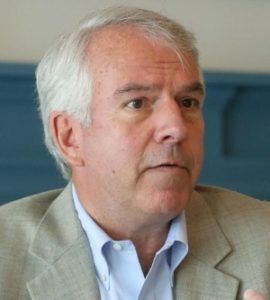 Middletown Township Committeeman Rich Hibell accused his Democrat opponent, Board of Education member Danielle Walsh, of abusing her position of on the BOE by officially recognizing her campaign volunteers for academic acheivement and for the widespread use of photos of Middletown school children for political purposes without their parents permission.